William Chen is currently a Ph.D. candidate in the Department of Electrical Engineering at Columbia University. He received his MS degree in EECS from University of California, Berkeley in 1997 and a BEE degree in EE from Georgia Institute of Technology in 1993. He is interested in content-based image/video search and retrieval. In particular, he is interested in template-based retreival and visualization techniques for large collections of stock footage. Prof. Shih-Fu Chang is a Professor of Electrical Engineering at Columbia University. His research focuses on multimedia signal processing and communication, video indexing, wireless/mobile video, and multimedia authentication watermarking. He is currently leading Columbia's ADVENT industrial consortium and the Digital Video/Multimedia Group. He contributes to digital video research in several cross-disciplinary projects at Columbia, including Columbia's Patient Care Digital Library (sponsored by the cross-agency DLI phase 2 program), Multimedia Education Project supported by AT&T foundation, and Columbia's Digital News System Project supported by NSF. Prof. Chang has been awarded a Young Investigator Award from Office of Naval Research in 1998, a Faculty Development Award from IBM in 1995, and a CAREER Award from the National Science Foundation in 1995. He has served as an associated editor for several journals and has been a general co-chair for ACM 8th Multimedia Conference 2000. He and his students have been awarded three best paper awards from IEEE, ACM, and SPIE. He currently serves as a Distinigushed Lecturer in the Multimedia Track of IEEE Circuits and Systems Society, and an advisor for several media companies. His group has worked closely with industrial partners for the development of MPEG-7, the emerging multimedia content description standard. Engineering from the State University of New York at Stony Brook in 1993. She received her Masters of Science in the field of Electrical Engineering from Columbia University in 1995. She has been working at IBM since 1994. She currently works at the IBM T.J. Watson Research Center in the enterprise networking department and is part time Ph.D. student at Columbia University. She has worked on quality of service, policy based networking, service differentiation and network monitoring and management. She works on various projects at IBM such as Content Distribution Netwoks (CDNs), Pervasive Content Delivery and Distributed Computing. She is currently working on Enhanced Content Delivery using Content Metadata and Client Information. Ana B. Benitez is a Ph.D. student in the Department of Electrical Engineering at Columbia University, New York, USA, since 1996. In particular, she is currently a Kodak Graduate Fellow and a member of the ADVENT project and the DVMM group. She was awarded a full scholarship for graduate studies in the United States by the Spanish financial institution, "la Caixa". She received her Telecommunications Engineer degree from the Polytechnic University of Catalonia (UPC) in Barcelona, Spain, in 1996. Her current research interests include integration of intelligent and distributed applications for retrieval, navigation and synthesis of multimedia. 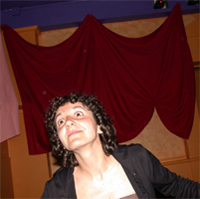 She is an active participant in the MPEG-7 standard where she has chaired the AHG on MPEG-7 MDS Core Experiments and she is an editor of the MDS part of the MPEG-7 standard. She is also a student member of IEEE and ACM. Shahram Ebadollahi is a PhD candidate in the Digital Video and Multimedia Group in the Department of Electrical Engineering at Columbia University. He received his BSc in Telecommunications Engineering from Tehran Polytechnic in 1993, and his MS in EE from Columbia University in December 1998. He joined the DVMM group as a PhD student in Summer 1999 where he works under the supervision of professor Shih-Fu Chang. 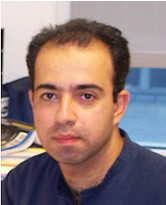 Shahram is ineterested in Multimedia Information Retrieval, Signal and Image Processing and Computer Vision. He is specifically interested in Medical Multimedia Content management. His PhD work focuses on Summarization, Indexing, and Content-Based retrieval of Medical Videos such as Echocardiograms. This work is part of the Columbia Health Care Digital Library project, PERSIVAL, sponsered by "Digital Library Initiative-2" led by NSF. Winston H.-M Hsu is a Ph.D. student in the Department of Electrical Engineering at Columbia University, New York, USA, since Spring 2002 and is also a member of DVMM group. Before that, he had worked in a multimedia software company for years and focused on video communication software developments and went through engineer, project leader and RD manager. 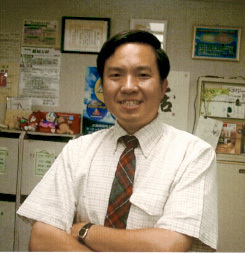 He received MS degree from Department of Computer Science and Information Engineering, National Taiwan University, Taipei and is also an alumnus of Communication and Multimedia Lab where he had intensive works on queuing analysis of multimedia data over high speed LANs. His current research task is news video indexing and summarization where lightweight multi-modal clues are exploited to construct semantic news units, summarization and further categorization, invariant to noise and diverse production rules. Raj Kumar Rajendran is a Ph.D. student in the Department of Electrical Engineering at Columbia University, New York, USA. He is part of the ADVENT project and the DVMM group. He has a B.Tech. from the Indian Institute of Technology, and M.S. Degrees in Operations Research and in Computer Science from Columbia University. He has worked as an intern at AT&T Labs and Philips Research. His current research interests include video coding, video semantics and uses of machine learning in multimedia retrieval. 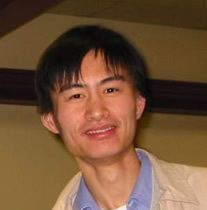 He is involved in joint research with Phillips Research, U.S.A.
Lexing Xie is a Ph.D. student at the Dept. of Electrical Engineering, Columbia University. She obtained her B.S. in EE from Tsinhgua University, Beijing, China, 2000. Her current project focuses on sports video structure analysis and event detection. 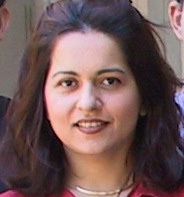 She is generally intersted in problems and their solutions related to multimedia content representation, analysis, transmission, management using signal processing, pattern recognition techniques. 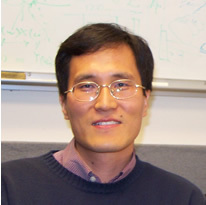 Yong Wang is currently a Ph.D. candidate in the Department of Electrical Engineering at Columbia University. 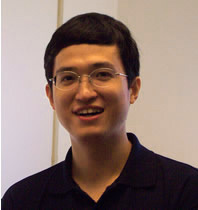 He received his MS degree in 2001 and a BE in 1999, both in EE from Tsinghua University. Under the direction of Prof. Shih-Fu Chang, his research focuses on issues relating to wireless/mobile multimedia communications. In his spare time, he likes playing table tennis, tennis, swimming and listening to music. 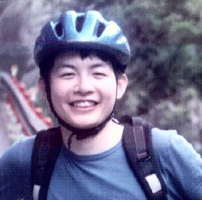 Dongqing Zhang is a Ph.D student in the Department of Electrical Engineering at Columbia University. He is interested in the research topics related to multimedia analysis, He is currently doing research on video text recognition and structure analysis and summarization of sports video by Optical Character Recognition. He is also interested in knowledge model with its application in multimedia analysis and signal processing techniques. He received MS degree of Electrical Engineer from University of Science and Technology of China, and MS degree of Computer Science from University of National University of Singapore. His Ph.D research work is under Prof. Shih-Fu Chang. Last updated: February 26, 2003.